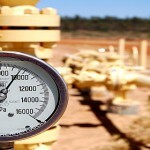 The Queensland Government has released land for gas exploration in the Surat Basin, under strict conditions that the gas produced is sold in Australia. 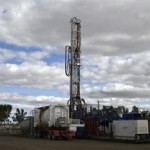 Water produced when coal seam gas (CSG) is extracted from below ground can be safely re-injected hundreds of metres underground, according to new CSIRO research. Victoria’s ban on fracking will have far ranging impacts on the state’s energy security. 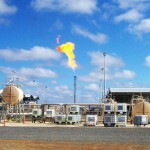 Members of the public will be able to live-stream air quality data from coal seam gas areas in Queensland following the CSIRO’s air quality measurement program. 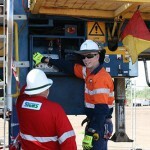 New coal seam gas field testing of Tight Radius Drilling (TRD) technology at an operation in the Bowen Basin is delivering successful results. 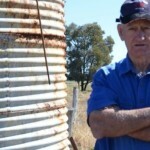 A vigil will be held today at the Origin Energy AGM to commemorate Western Downs farmer and anti-fracking campaigner George Bender. The Victorian opposition has said a current ban on fracking should be extended until at least 2020, raising concerns from the state’s industry. 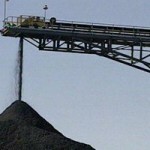 Ipswich City Council has declared it will block plans to develop any new mine, mining extension, or coal seam gas project in the city. Platts’ Gareth Carpenter and Ross McCracken discuss methods coal miners are using to lift the industry out of the ‘coaldrums’. 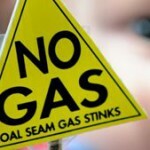 A New South Wales MP has labelled CSG activists as a “bunch of retired ex-Sixties protestors”. 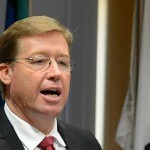 NSW deputy premier Troy Grant has called for an end to CSG mining in northern NSW. 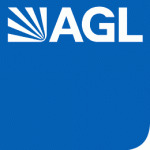 The NSW Government has cleared AGL of using banned chemicals in any of its fracture stimulation fluid or drilling process at the Waukivory CSG project. 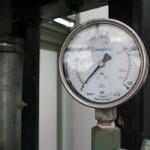 Australia’s “looming gas shortage” – the basis for calls to deregulate coal seam gas – may not be real after all. 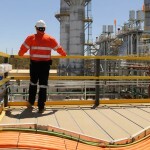 But gas prices are still set to rise, and that’s an area where coal seam gas could help. Santos says its $US18.5 billion Gladstone LNG project will produce first gas around the end of the third quarter this year. Workers at the QCLNG project on Curtis Island were told to stay in their rooms yesterday morning after a vapour leak was detected.